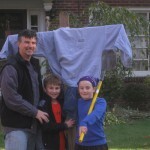 Every family has its own holiday traditions. 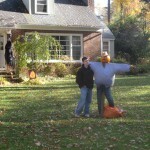 When I was growing up on Long Island, we helped my father build a scarecrow every Halloween. 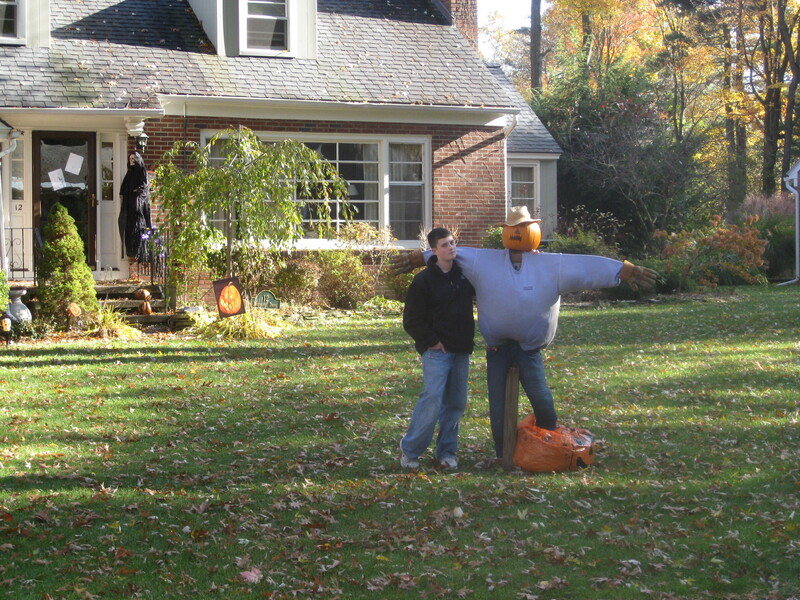 It wasn’t anything elaborate, just two lengths of wood hammered together crosswise, but as kids we just wouldn’t feel right without that scarecrow on the front lawn. It was a constant in the constellation of childhood, a fixed star. Thanks to the passage of time, the sediment of sentiment, I love that memory more each year. 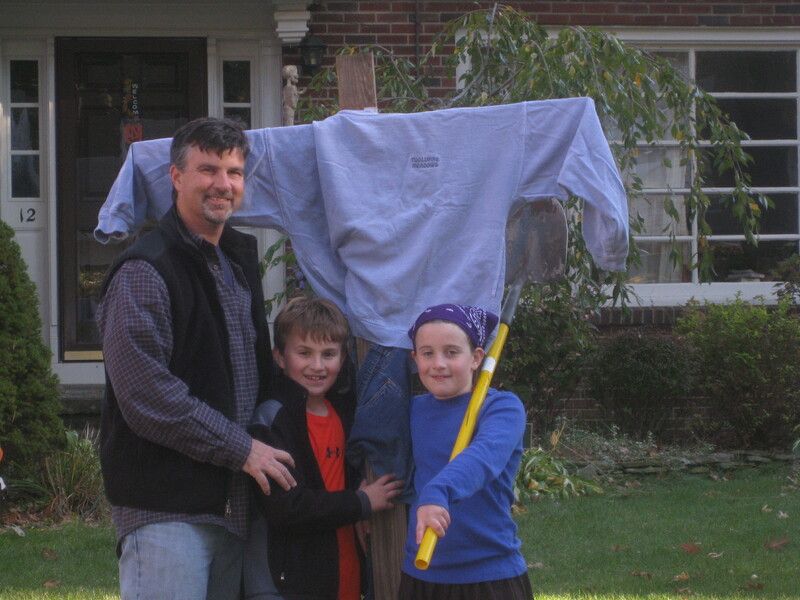 So I’ve kept that tradition alive with my own family. We had to get him dressed. 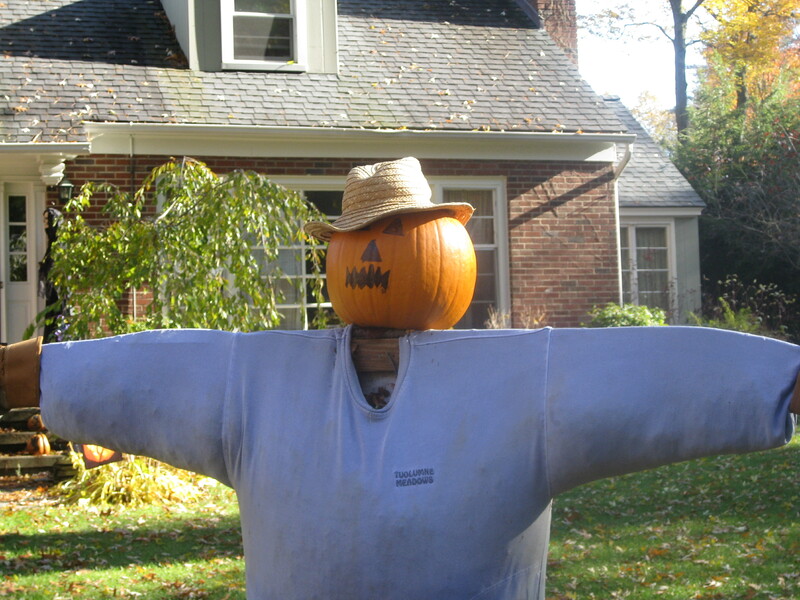 Nobody wants to see a naked scarecrow. 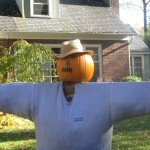 At our house, every scarecrow needs a pumpkin head. We accept no substitutes. We fit it, nice and snug, onto his 2″ by 4″ neck. Then plant him and stuff him with leaves. 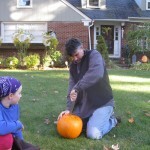 Of course, we had to carve pumpkins. Lisa leads that effort. She relishes new challenges. But not me. I like to do the exact same thing year after year. That makes me either an iron-willed traditionalist (AKA, “Old School”) or incredibly dull. 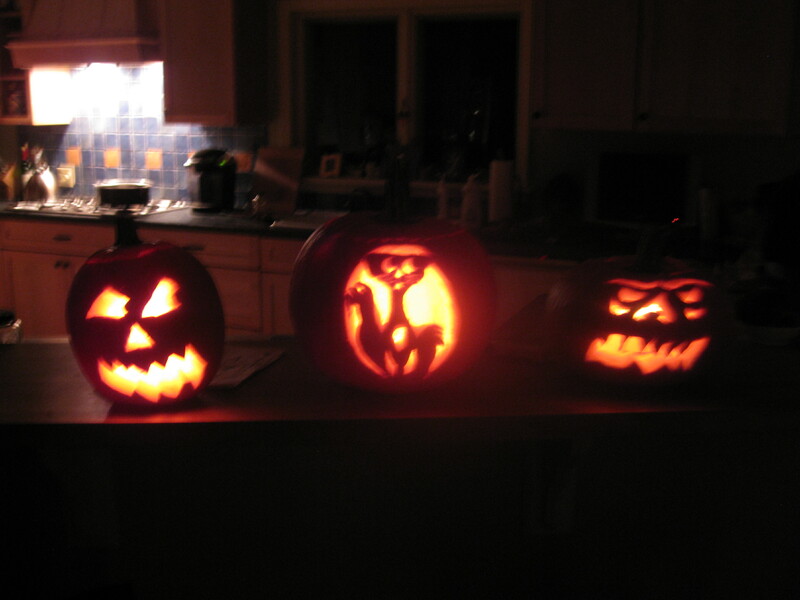 Gavin and I went with the classic look (left); Maggie and Lisa created the cat (center), earning first prize; and Nick carved a mean Jack-O-Lantern (right) with eyebrows, which I think is just wrong. 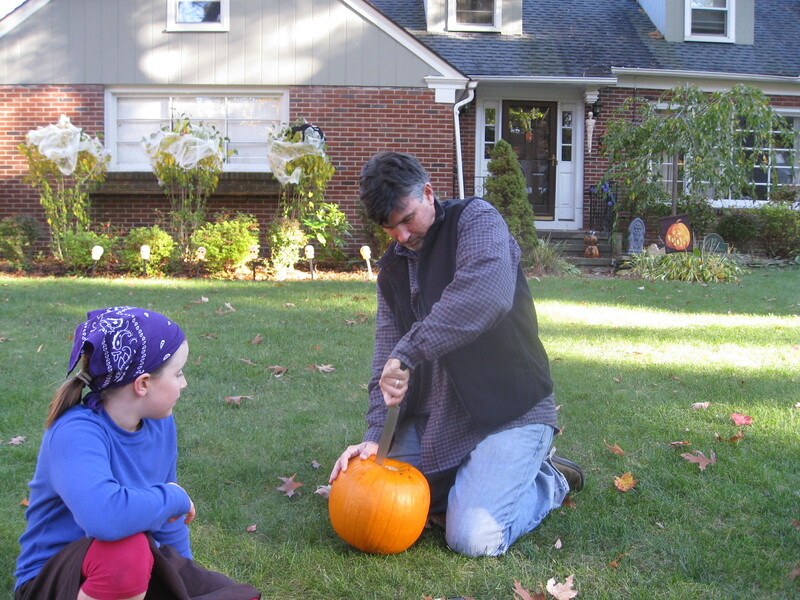 Everybody knows that Jack-O-Lanterns don’t have eyebrows. Duh!